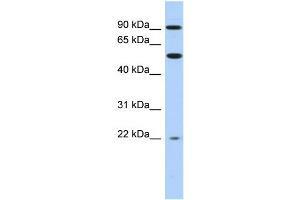 Characteristics This is a rabbit polyclonal antibody against NR1D2. It was validated on Western Blot using a cell lysate as a positive control. Background NR1D2 is a member of the nuclear hormone receptor family, specifically the NR1 subfamily of receptors. NR1D2 functions as a transcriptional repressor and may play a role in circadian rhythms and carbohydrate and lipid metabolism. Alternatively spliced transcript variants have been described.